Meiyang Chang is an Indian actor, television host and singer. He graduated from De nobili School, C.M.R.I Chang is a third generation Indian-Chinese native to the Chinese province of Hubei. Chang received his BS in Dental Surgery (B.D.S.) from V.S. Dental College and Hospital, Bangalore. He appeared in the Bollywood film Badmaash Company as the easy but alcoholic Zing. In Detective Byomkesh Bakshy of Dibakar Banerjee! he appeared as an opium trader Kanai Dao. He played himself in the movie Sultan 2016 and the gay character Nischay Baruah in an original web series Untag. He hosted the first show of Rising Star (Indian TV series) on Colors in India, and made his first performance for Jagga Jasoos with the song "Tukka Laga". 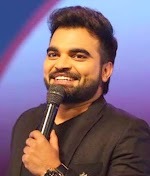 He appeared on the Indian Idol TV show as a competitor.